Fees associated with filing patent applications in the Netherlands, as well as other patent fees, are available in the fee calculator. The deadline for filing a Dutch patent application claiming priority is 12 months from the priority date. Restoration of this term is possible under stringent requirements and is not granted often. 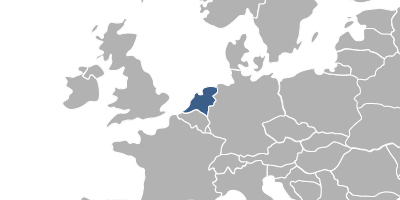 The official language of patent prosecution in the Netherlands is Dutch. It is allowed to file an application in English; however, the patent claims still must be provided in Dutch. The translation of claims into Dutch may be provided within three months from filing the patent application in the Netherlands. - description of the invention and one or more claims, even if they do not comply with the formal requirements. If priority is claimed, a certified copy of the Priority Document must be submitted within 16 months of the earliest priority date. This document must be submitted in Dutch, French, German or English. No Power of Attorney is required when filing a patent application in the Netherlands. The Assignment Deed is not required by the Dutch Patent Office. In the Netherlands, the request for a novelty search is mandatory and must be filed within 13 months from the priority date. There is no substantive examination. - the disclosure is the result of the invention’s display at an official or officially recognised international exhibition. No official grant is stipulated. The validity of a patent in the Netherlands is 20 years from the filing date. The first annuities should be paid after a patent is granted starting from the 4th year of the date of filing, on the last day of the month of filing. The average processing time of a Dutch patent application from filing to grant is three years. No utility model protection is stipulated by the Dutch legislation. For foreign applicants, it is necessary to perform patent prosecution in the Netherlands through an agent, a registered Dutch patent attorney. 1. Online Search databases: Dutch Patents, European Patents (EPO). 2. Patent protection in the Netherlands may be obtained via registration of a European patent and its further validation in the Netherlands. 3. The PCT application in the Netherlands may be nationalised via entering the European regional phase (Euro-PCT) and its further validation. There is no direct national route to obtain a patent under PCT in the Netherlands. Please contact us if the above information contains any discrepancies with Dutch IP Laws.